Make sure you keep the four screws and two pushpins that came with the rear splash guards separate from the ones you are about to remove. The new ones are a touch longer. 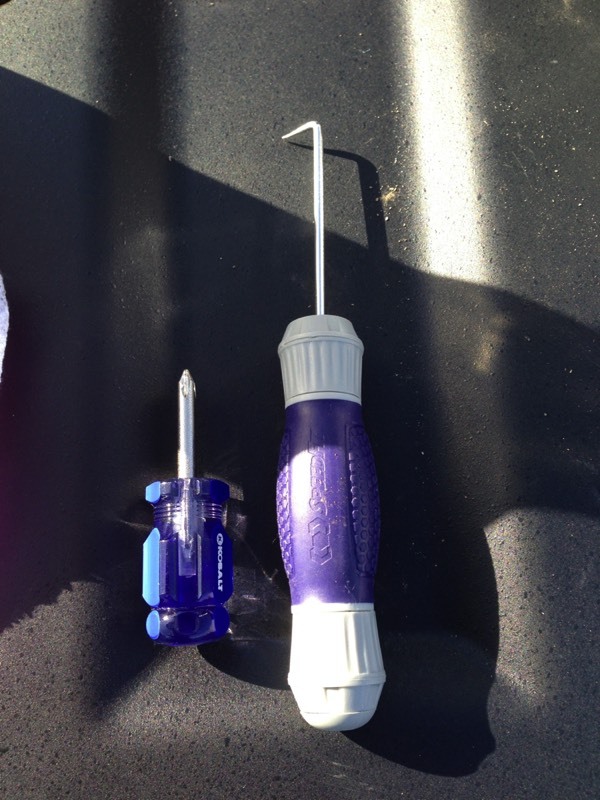 Remove three phillips screws as shown in the photo. 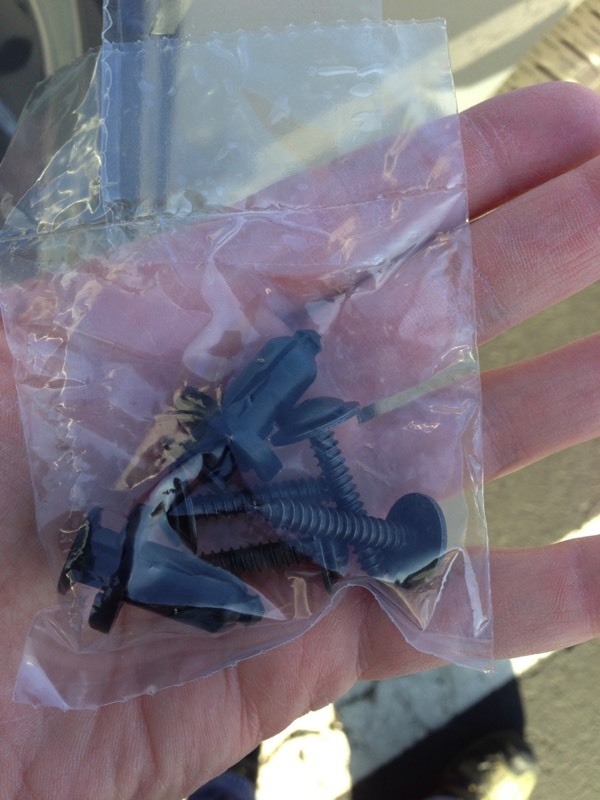 Place these in a safe place away from the installation area. 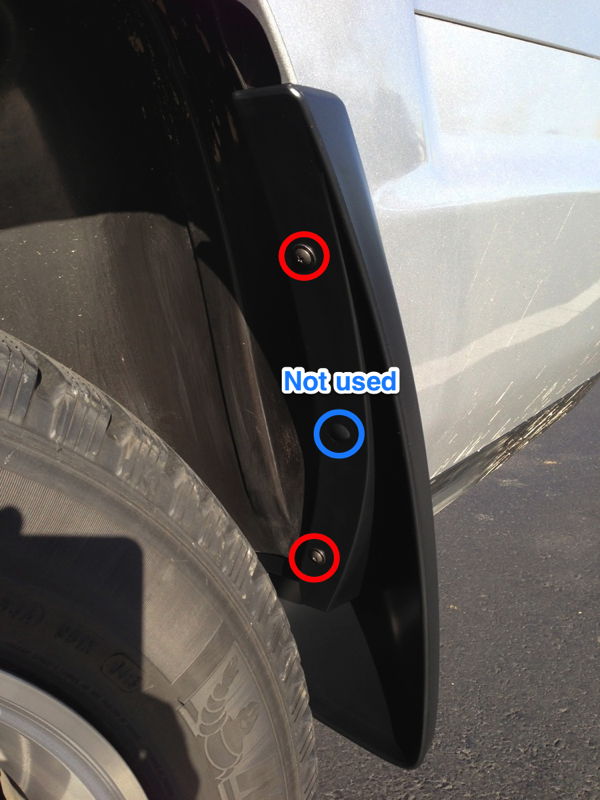 Remove the pushpin located under the truck on the other side of the wheel well as shown. 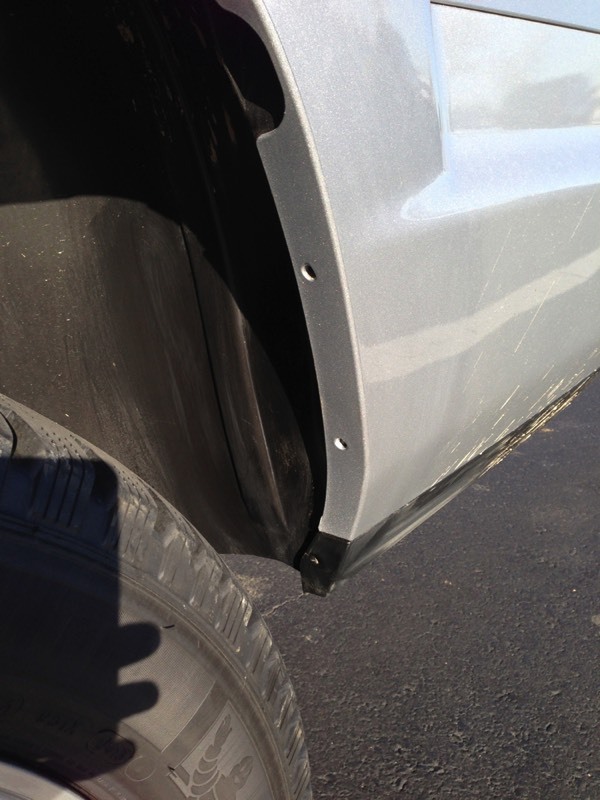 Clean your wheel well area and rear quarter panel. 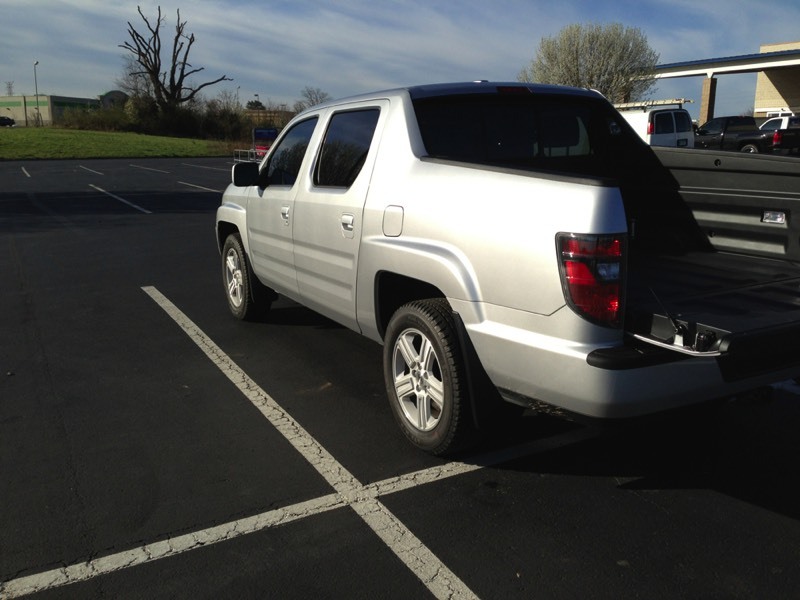 You may also need to clean around the pushpin area if your truck is really dirty. 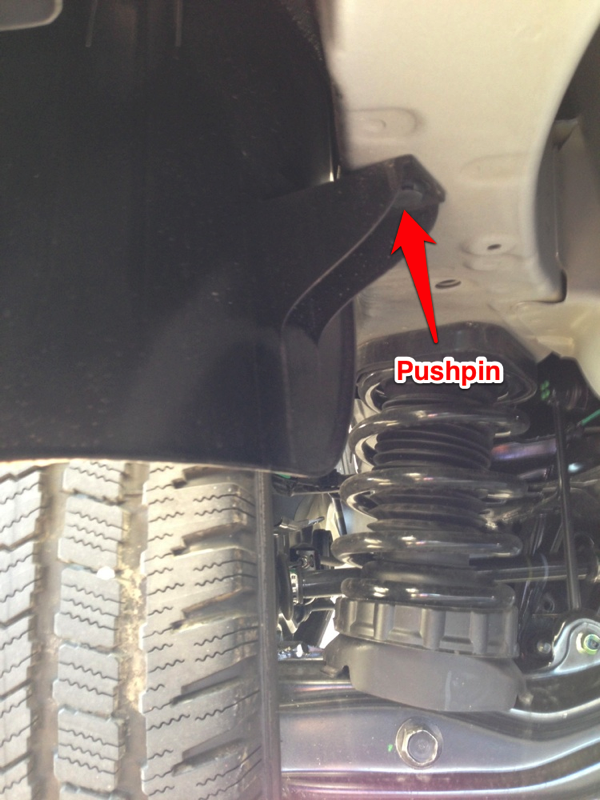 Place the new splash guard in the rear of the wheel well and install two of the new phillips screws. Note the middle phillips screw is not used on the splash guards. 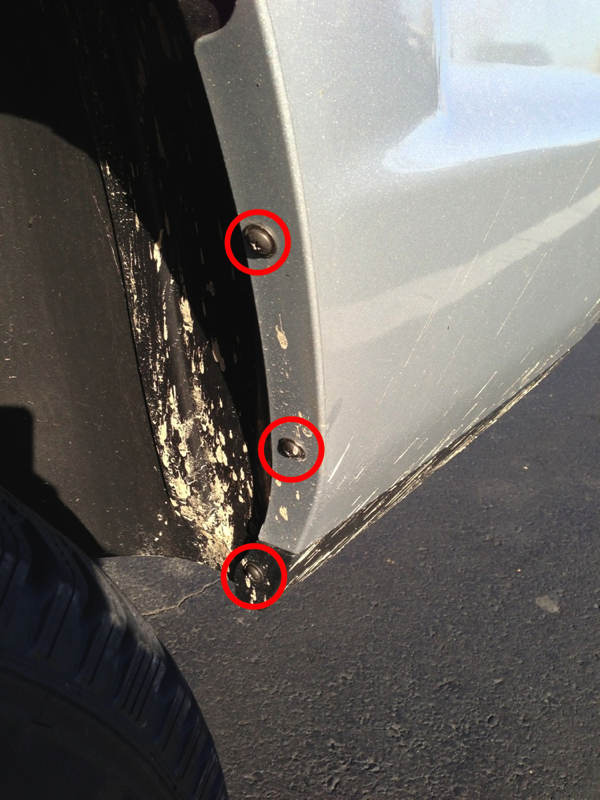 Insert the pushpin located under the truck on the other side of the wheel well as shown. This was accomplished in ten minutes in the Lowe's parking lot on the way to a job site.